V. Stiviano has claimed in a lawsuit that Donald Sterling, the former Los Angeles Clippers owner, is gay and that she helped him keep it a secret by posing as his girlfriend for three years, according to a TMZ report. Stiviano's recording of racist comments made by Sterling was posted on TMZ in April, prompting the NBA to ban him for life, and fired up a string of controversies before eventually resulting in the sale of his team. According to TMZ, Stiviano filed a lawsuit in Los Angeles Superior Court on Thursday in response to a prior lawsuit filed by Sterling’s wife, Shelly. The defamation lawsuit has reportedly been filed against the Sterlings denying allegations made by Shelly Sterling that Stiviano had received cash, property and cars belonging to the Sterling family as gifts from Donald Sterling in exchange for sexual favors. Stiviano stated in the lawsuit, according to TMZ, that she was "not ever a sexual partner of Donald T. Sterling" and "believes that [Sterling] is a homosexual and enjoys sexual acts and or sexual congress with males." Stiviano has reportedly demanded about $10 million in compensation for being called a thief and for having been falsely accused of embezzling money and property from Donald Sterling. The legal document also reportedly stated that Shelly was "acutely aware of [Donald's] sexual orientation and condoned same as well as acknowledged and approved [Donald's] gifts of money [to Stiviano]." Stiviano also reportedly claimed in the lawsuit that the gifts she received from Sterling were from a separate property. 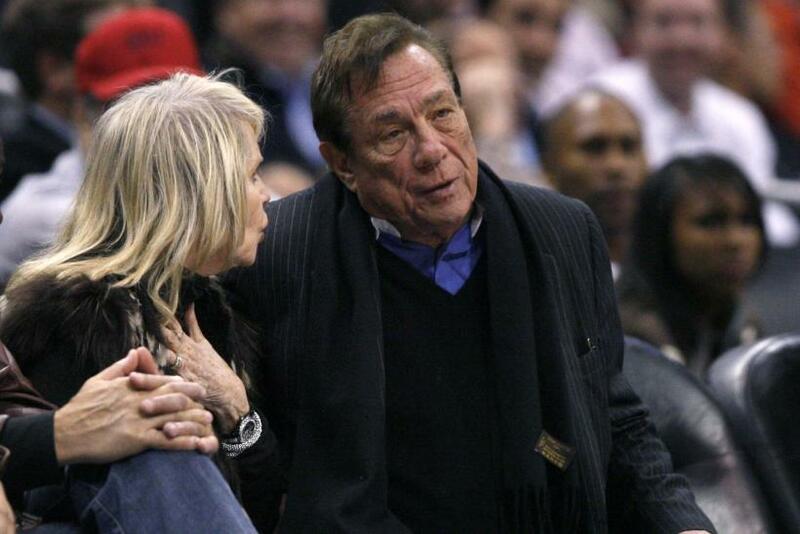 In March, Shelly Sterling sued Stiviano on charges of embezzling the Clippers owner out of $240,000 in cash, several luxury cars and a $1.8 million dollar mansion. In April, Donald Sterling was banned from the NBA and fined $2.5 million after an audio tape surfaced in which he was found to have made racist comments. Following a series of lawsuits and court hearings, Shelly took control of the Sterling family trust and struck a deal to sell the team for $2 billion to former Microsoft CEO Steve Ballmer, who officially became the owner of the Los Angeles Clippers on Aug. 12.